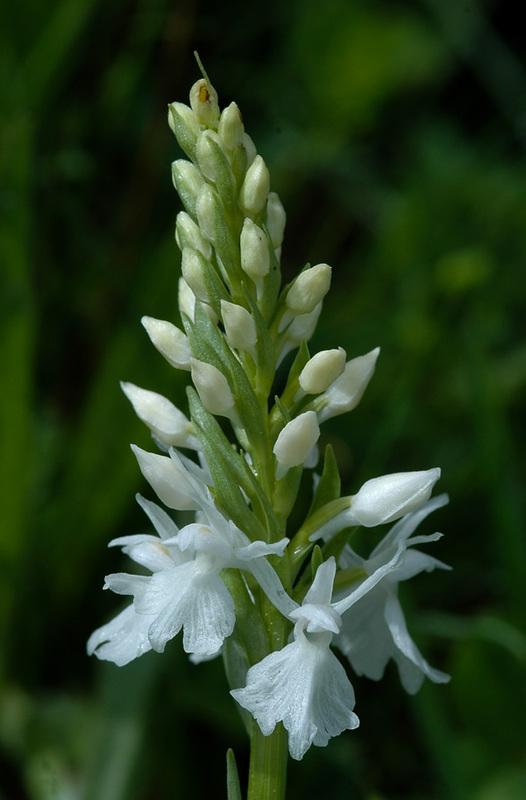 Dactylorhiza maculata, a slender plant with a height of 20 to 40 cm, is named after the spotted foliage leaves. But there are can also be plants with unspotted leaves. The 4 to 10 leaves are lanceolate and acuminate. The inflorescence consists of 15 to 50 flowers, tightly arranged in a conical inflorescence, and each supported by a relatively short bract. The spur is almost as long as the ovary and bented downwards. Petals and the middle sepals form a small hood. The lateral sepals are spreaded. 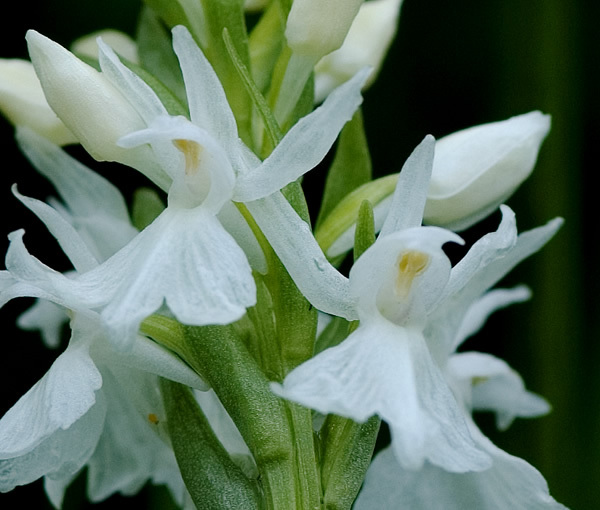 The broad and rounded labellum is three-lobed, with a middle lobe being much smaller than the lateral lobes and not as prominent as it’s the case with Dactylorhiza fuchsii. The loops on the lip are less well defined as for Dactylorhiza fuchsii. Dactylorhiza maculata is tetraploid (4 x 20 chromosomes). 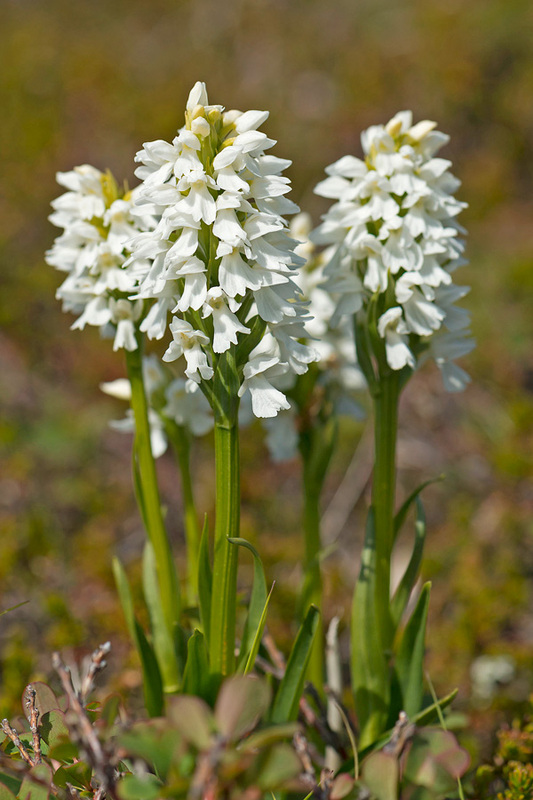 Linné first described this plant as Orchis maculata in his opus Species plantarum (1753), but in 1962 the Hungarian botanist Károly Rezsö Soó von Bere defined it as Dactylorhiza maculata. There is still some ungoing discussion about the denomination of the species expecially in the delimitation to Dactylorhiza fuchsii. The flowers of Dactylorhiza maculata are mostly pink to light-purple. In general, they are more bright than the flowers of Dactylorhiza fuchsii. There are also plants with very light-coloured flowers and rarely flowers which are pure white. 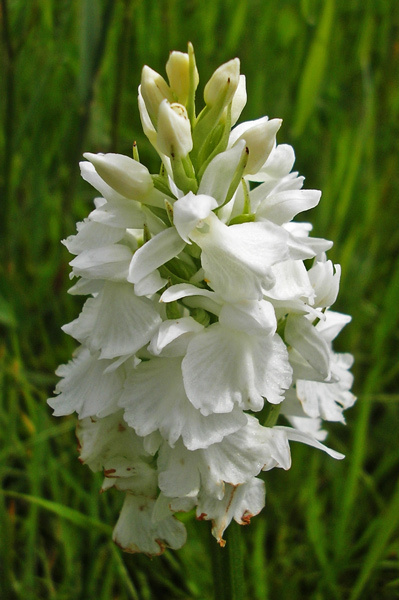 From the Balkan countries to Ukraine there is a white-flowered subspecies, Dactylorhiza maculata subsp. transsilvanica. 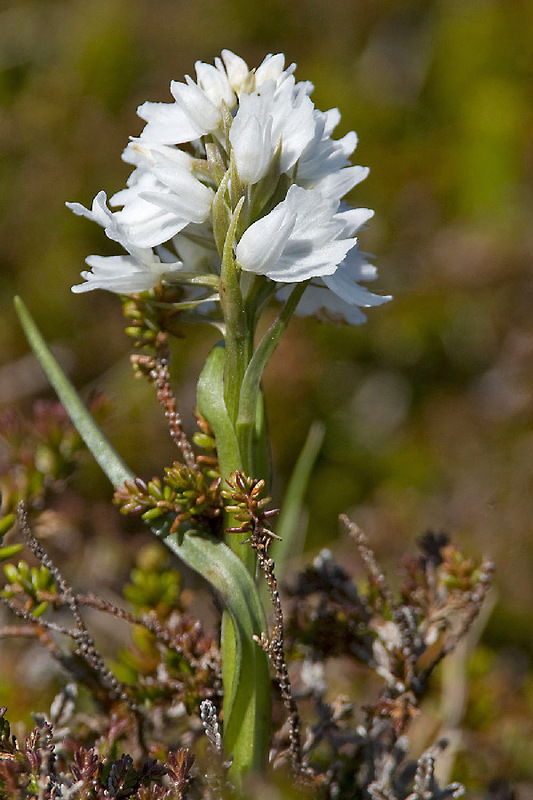 Dactylorhiza maculata is growing on grasslands and clearings, up to 2300 m. Bloom is from May to July. Distribution is not well described, but the main habitats are in Northwest Europe.